"Nancy kept us informed of every time our house was shown also answered or returned all calls in a short time. When I had questions about the process Nancy had all the answers, her 22 years of experience proved to be very helpful. Due to her broad base of knowledge for the business it made our task of selling much easier"
"I highly recommend Nancy. She is one of the most knowledgeable, experienced real estate agents in the Area. She helped me purchase a home in the Gulf Breeze/Pensacola region. She was always available for showings and returned my calls -emails right away." "Nancy has helped me purchase two different houses and was fantastic both times. She knows her stuff and does not try to sell you just any house. She helps you buy one that fits your needs, style, taste, and budget. She's not going to just tell you what you want to hear. She going to be realistic and give you her honest opinion. She knows Pensacola very well and is very in tune with the market in the area and helped greatly with negotiations. 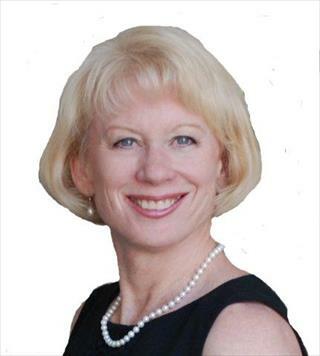 Nancy is a great realtor, and you can't go wrong working with her!" Nancy is OUTSTANDING!!!!! There are NOT enough good things that I can say about her as an agent. She is very honest, knowledgeable and helpful in telling you what needs to be done to get your home sold. She was really flexible with our schedules. If you are new to the area and aren't sure who you can trust, please give Nancy a call. "When we decided to sell our house in PA and move to FL we didn't know any realtors in the area. So I found a link on the web which gave me the opportunity to provide my contact information. Nancy was the first one to respond so we picked her. During the ensuing weeks and months until we closed on our house here in Shorewood, She was exceptionally attentive to where we wanted to buy. The other issue we had was we were not going to be able to look at any of the houses before we bought. No problem for Nancy. When we identified from the listings she was sending, she would actually walk around the inside of the house and tape the inside and outside of the house. On one occasion we were ready to make an offer until she informed us there was a 4 lane highway on the other side of a hedge on the property. After we moved in in early July we drove past that same house and wow were we glad she told us. There were several issues with the house we made an offer on but she was our on-sight broker. After we moved in she came by to see how things were going. She actually started the pilot light on the hot water heater!" "The only person someone should call to sell or buy a house!!! Hooked us up with a great realtor in the new city and handled everything with our sale. Even the questions she must have heard a thousand times from a seller! Please remove the 5 star rating and get a 10 star system in place for her!!!" "Nancy worked with us to find a rental and then to buy a house. She patiently took us to see dozens of houses in an area where there are not many houses that fit our needs. She kept telling us not to get discouraged and that we would find the house that was right for us. She worked until we did and fought for us the whole way." "Will go to her for anything regarding buying or selling. Beyond amazing and extremely helpful, especially to us first time buyers. Takes the time to explain and listen. And she doesn't give up. Great advice. The best person you could know (:"